As we celebrate National and Malaysia Day, the most popular topic of discussion is the Bersih4 rally organised by Bersih 2.0 on Aug 29 and 30. As a supporter of Bersih4, 1 think it is an important landmark in the struggle of Malaysians in steering the country’s democracy to a higher level — one that is mature and progressive. On Sept 8, the Society for the Promotion of Human Rights (Proham), which was an observer at Bersih4, and Global Movement of Moderates (GMM), co­organised a roundtable discussion, “Right to Freedom of Peaceful Assembly: Lessons from Bersih4″. It was co­moderated by Datuk Dr Denison Jayasooria and myself. The objectives of the roundtable were to review the human rights instruments and domestic laws pertaining to peaceful assembly and the peaceful Bersih4 rally (pre­event, the event and post­event issues). It also sought to draw lessons from Bersih4 and make recommendations for the future of peaceful assemblies as a legitimate vehicle in a democratic society. To me, it is time for all of us to recognise that dissent in various forms, including peaceful assemblies like Bersih4, is “the new normal”. This is because it is part of democracy and is stated in the Universal Declaration of Human Rights. It is also provided for in the Federal Constitution. And we have the Peaceful Assembly Act 2012 (PAA), which guarantees citizens the right to organise and participate in assemblies peacefully and without arms. From the preliminary reports of Suhakam, the Bar Council and Proham, it is clear that Bersih4 was a very successful peaceful rally. According to Suhakam, the turnout was 200,000 to 250,000 people. Others said that it was 500,000. The participants were multiracial. Their mood was festive. 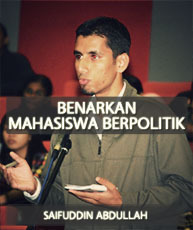 As the organiser, Bersih 2.0 did everything that was humanly possible to ensure that everything went according to plan. For example, it communicated guidelines and updates, ensured that participants did not break the barricades, provided teams of volunteers for security, medical and cleaning, and prepared PA systems and portable toilets. The participants were disciplined. Credit must also be given to the police and Kuala Lumpur City Hall for being cooperative. If all of us can accept such rallies as a new normal, then we do not have to keep facing all kinds of unnecessary opposition and harassment before, during and after such an event. We should not be faced with the poor arguments and threats and intimidation that were thrown at Bersih4 by some quarters. They recycled archaic arguments. For example, that Bersih 2.0 and the rally were illegal, and that the rally would cause chaos, traffic jam, affect businesses and taint the good name of the country. They employed a couple of new arguments. They accused Bersih4 of being detrimental to parliamentary democracy. What they fail to understand is that as long as Bersih4 does not have the objective of using violence and/or unconstitutional means, it is not detrimental to parliamentary democracy. In fact, on the contrary, Bersih4 is actually one of the ways of upholding parliamentary democracy. They also accused Bersih4 of aiming to topple the government. The five objectives of Bersih4 did not state that it wanted to topple the government. The chants during the rally were about asking the prime minister to resign. Toppling a prime minister is not undemocratic. Toppling a government is also not undemocratic. To recap, the PR government of Perak was at one time toppled by BN. A week or so after the event, some people are not happy that Bersih4 was very successful. Hence, they want to find fault. They claim that it was poorly attended, play the racial card by saying that it was dominated by the Chinese, highlight the incident of two people stepping on photos of politicians and sent a cleaning bill to the organiser for “dirtying” the city. I will not be surprised if the authorities investigate more people related to Bersih4 for all kinds of allegations and offences, including the most petty of things. The reason could be to divert attention from the more fundamental issues raised by Bersih4 and other platforms. That is why we must remain focused on the objectives of Bersih4 and the other voices and calls made on the state of the nation. We do not have to agree with all of them. But we should be able to agree on the fundamentals. Finally, Bersih4 shows that we have reached a stage where we are bold and brave enough to do things as we want it. We must seize the momentum. After 20 months of hard work, the National Unity Consultative Council (NUCC), formed by Prime Minister Datuk Seri Najib Razak, chaired by Tan Sri Samsudin Osman and mandated to propose a national unity blueprint, has completed its task. Its report is waiting to be presented to the Cabinet. Prepared by a team led by Prof Datuk Dr Shamsul Amri Baharuddin, the report is comprehensive. It recognises that Malaysia is unique as it is a multiethnic, multicultural and multilingual society. The majority understand, appreciate and accept unity in diversity. Indeed, to them, this diversity is our strength and, therefore, we must strive to preserve it, ensuring justice, fairness and inclusiveness. The communities in the country collectively experience both “moments of unity” and “moments of difference” that are articulated in the way we appreciate and understand history, current developments and future aspirations. This necessitates the strengthening of the culture of dialogue as a way to iron out differences and to seek convergence in the light of the heightened level of public contestation as a reaction to ethnic, religious, linguistic and cultural issues raised. These contestations reflect the sense of distant and distrust among individuals and groups, which have to be addressed. 1. Increased levels of consultation between ethnic and religious groups in Malaysia. A more holistic and inclusive approach is needed to bring about better understanding between different communities. This will help create greater social cohesion and national unity. 2. Increased democratic literacy and political maturity to enhance multiethnic and multireligious engagement critical to effective nation-building. 3. A holistic and balanced understanding of the position of the Federal Constitution with reference to Articles 3, 4, 8, 10, 11, 152, 153 and 181 as the foundation of the nation. Every Malaysian ought to understand and appreciate the historical, legal and political development of the Federal Constitution. We should also understand the rights and responsibilities of citizenship. 4. Establish non-judicial mechanisms for mediation and conflict resolution. Every Malaysian should have access to this mechanism and feel confident that the process is just, fair and transparent. 5. The bottom 40% of all communities must have full access to public sector services. Every Malaysian, irrespective of ethnic, religious, political and locational backgrounds, as well as gender and sexuality, must feel he or she is treated as a fellow human being and citizen of Malaysia. 6. Improved commitment to ethnic and gender diversity in recruitment and promotion in the workplace, both in the public and private sectors. 7. The understanding and appreciation of multiethnic cultures among communities, including proficiency in Bahasa Malaysia and other communities’ languages, need to be strengthened. 8. Ethnic relations and national unity are regularly monitored and reviewed. 9. Strengthened institutional policy and mechanism for the NUCC. As some of the NUCC members are also participating in other committees or platforms, several of the key outcomes are already or partially adopted in other policies and programmes. For example, the problems of the “bottom 40%” have already been acknowledged in the 11th Malaysia Plan and the “understanding of the Federal Constitution” supports the programmes under MyConsti. The biggest test of the NUCC report is the one that asks the tough question regarding laws, policies and mechanisms on hate speech, conflict resolution and unfair discrimination. Specifically, this is about the proposed National Harmony Act. The original content of the proposed law is stated in the report. Notwithstanding the fact that the government has made a U-turn in not repealing the Sedition Act, the government should not have a problem in approving the other two components of the proposed National Harmony Act. The components are, firstly, to ensure equality and to prevent unfair discrimination on the grounds of religion, race, descent, place of birth, gender or disability. And secondly, to provide a private law remedy for unfair discrimination through the establishment of a National Harmony and Reconciliation Commission. But the completion of the work of the NUCC is not really the end of the actual work of strengthening social cohesion and national unity. There remain several major concerns. Among them are the implementation of the term “bumiputera”, ratification of the International Convention on the Elimination of All Forms of Racial Discrimination, making our Parliament more people-centred and the never-ending politics of race. When the Asean heads of government gathered for a summit in Langkawi on April 27 and proudly announced to the world that they are committed to making Asean more people centred, as endorsed by the Langkawi Declaration on the Global Movement of Moderates, I am sure they did not expect that less than a month later, the same island would catch the attention of the world. It’s not for the summit’s achievement but for a different story, one that Asean has for years swept under the carpet. On May 11, some 1,100 migrants who are victims of human trafficking landed in Langkawi. About 400 of them are Rohingyas, who are considered as refugees by the United Nations High Commissioner for Refugees (UNHCR). Rohingyas are Muslims from Rakhine state, Myanmar, who fled persecution from the Buddhist majority. Meanwhile, another 8,000 people remained stranded at sea while the Thai, Indonesian and Malaysian authorities, were, for a few days, not really helping. They had made statements that they would take punitive measures, including pushing away the boats (perhaps after providing food and water), not allowing the migrants to land and deporting the migrants and refugees to deter future arrivals. In times like this, almost always it is the civil society organisations (CSOs) — for example, the Malaysian Bar Council, Amnesty International Malaysia, Migration Working Group and Coalition of Young People of Indonesia for Asean — and activists like Datin Paduka Marina Mahathir who will come forward first. The CSOs were pressing Asean, especially Thailand, Indonesia and Malaysia, to urgently address the problem of the boat people who have fled Myanmar or left Bangladesh in seek of job opportunities but ended up in the hands of human traffickers. While waiting for the respective governments to respond positively, the CSOs wasted no time in providing assistance to them. • Coordinate search and rescue operations to locate and assist boats in distress? • Allow all boats carrying refugees and migrants to land safely in the nearest country and not tow them back out to sea, threaten or intimidate them? • Provide immediate humanitarian needs, including food, water, shelter and healthcare? • Ensure that those seeking asylum are able to access refugee status determination procedures? • Ensure that people are not criminalised, detained or punished solely for their method of arrival in the country. The Malaysian Parliament missed an immediate opportunity to play a vital role when on May 19, the Dewan Rakyat Speaker rejected a motion proposed by opposition MP Dr Jeyakumar Devaraj to debate the issue. To the relief of all, on May 20, Malaysia and Indonesia agreed to allow 7,000 migrants stuck on boats near the two countries to come ashore but with strict conditions — the international community has to resettle or repatriate the Rohingyas and Bangladeshis within a year of them being given shelter. The offer is only for those stranded in the waters off Malaysia and Indonesia. Foreign Minister Datuk Seri Anifah Aman said as 2015 Asean chairman, Malaysia may call for a mini summit during the Special Meeting on Irregular Migration in the Indian Ocean in Bangkok on May 29. After a slow start, Asean seems to be taking urgent action on the issue, which is a positive development. But, one cannot but resign to the fact that if not for the boat people and the discovery of mass graves containing bodies of human-trafficking victims near the Thai-Malaysian border, Asean may not have seen this issue as urgent. And if Asean is genuinely concerned now, it is imperative that the root cause of the Rohingya refugees and the issue of human trafficking be addressed once and for all. The UN has stated that the Rohingyas are among the most persecuted minorities in the world. Asean must apply pressure on the Myanmar military government to address this problem. The grouping must uphold the Langkawi Declaration on the Global Movement of Moderates, which is aimed at advocating moderation as an Asean value and approach that promotes peace, security and development. The world is watching to see whether the Langkawi Declaration is really about moderation or just talk and no action. The llth Malaysia Plan (2016-2020) is expected to be launched in May this year. It is the earnest hope of many that its goal and thrust will not be a recycled version of “inclusiveness”, but rather, inclusiveness that is substantive. Call it substantive inclusiveness. Inclusiveness has always been stated in our national development plans thus far. The policies have brought about remarkable results in eradicating poverty and reducing inequalities in the country. But today, as Malaysia moves forward into the 11MP and with only five years remaining to realise Vision 2020, we must understand that we are faced with new challenges. In this context, I find the Malaysia Human Development Report 2013 (MHDR), published by the United Nations Development Programme, Malaysia, very relevant. MHDR (our first ever) is an independent assessment of Malaysia’s growth and development policy choices and implementation in its quest to achieve developed country status by 2020. It is framed by a paradigm that integrates inclusive growth as a core element of its analysis and policy recommendations. It is produced by an all-Malaysian team of scholars and researchers led by Tan Sri Dr Kamal Salih. • Equitable distribution of benefits of economic growth and of social spending across distinct groups and to the poor, irrespective of their group membership? • Inclusion of the people in policy formulation and implementation. MHDR adopts a multidisciplinary and multidimensional approach. Its contents are divided into three parts: analysing growth in Malaysia? dimensions of inclusion and exclusion? and institutional dimensions of inclusive growth and human development. According to MHDR, we are now faced with new challenges, such as a high degree of income and capability poverty among bumiputera minorities, pockets of marginalisation prevailing in both rural and urban areas, increased income gap in absolute terms, widening gaps of asset inequality and women’s discrimination in the labour market. Another major finding is that an analysis of Malaysian households’ income shows that the inter-ethnic gap has been decreasing since 1970, and its contribution to overall inequality is now minimal, at only about 5%. This means that today, our more important inequality concern is more intra-ethnic in nature (about 95%). MHDR also introduces a new conceptual framework, the New Economic Paradigm, which decomposes household capability or purchasing power (wealth effects, disposable income, leverage and transfers) as more important than simply household income. MHDR calls for an urgent need to introduce new policy reforms while strengthening existing ones. Policies must be based on clear objectives and evidence, resisting populism that ultimately disempowers households and communities. Accordingly, MHDR proposes concrete recommendations on growth policy, fiscal and tax policy reform, labour market policy reform, small medium enterprise (SME) and informal sector policy, social policy reforms, and legal and institutional reforms. To me, the strength of MHDR is that it seeks to tell the truth, make an honest evaluation of things and is bold enough to present difficult proposals. In this regard, its recommendations on legal and institutional reforms are a landmark example. It seeks to establish a rights-based framework in ensuring gender equality, and equal rights to education and healthcare? enact a Social Inclusion Act and Freedom of Information Act? stronger fiscal federalism? reform government procurement? state representation in national policymaking? enhance role of civil society organisations (CSOs) in policy-making? stronger integrity? and independence and credibility of the Malaysian Anti-Corruption Commission and the judicial system. This is probably the first national report that has a dedicated chapter on law. Here is an opportunity, to paraphrase Tom Bingham, to practise “the rule of law” not as an arid legal doctrine, but as the foundation of an inclusive society, a guarantee of good governance and an important contributor to economic growth. Another important feature is on the role of CSOs. Stating the role of CSOs in a report is not new. What is new, and very remarkable, is that MHDR advocates that the role of CSOs is fully recognised as part of the meaning and process of inclusiveness itself. The MHDR’s approach, framework and recommendations are in sync with today’s new realities and resonate with the on-going discourses at other platforms, for example, the preparations of the reports of the National Unity Consultative Council and the Parliamentary Reform Proposal Group. May the 11MP be a better inclusive policy, and be able to move beyond mere “formal equality” into “substantive equality”, where equality has to be contextualised, drawing upon values such as human dignity, distributive justice and equal participation. Today, with the growing concern over racial and religious intolerance and the fight against violent extremism, more people are looking at moderation as the answer. This is indeed positive. But this is also the time to ensure the term is properly understood and not misinterpreted, misappropriated or hijacked in the fight against violent extremism, where the moderates are also wiped out or labelled as less Islamic/Malay. We also do not want the extremists to be given impunity and end up being called moderates. When mooting the idea of the Global Movement of Moderates in his United Nations speech in 2010, Prime Minister Datuk Seri Najib Razak made reference to the term “wasatiyyah”, which comes from the Quranic verse, “Thus We have made you a community justly balanced that you might be witness over the people and the Messenger a witness over yourselves (al­-Baqarah:i43). Wasatiyyah is translated as “justly balanced”. According to Islamic scholar Mohammad Hashim Kamali, the portrayal of wasatiyyah occurs in an inter-­civilisational context, as the address is to the Muslim community in juxtaposition with other communities and nations. The community (as witness) is conditional to its commitment to moderation and truth, is a forgiving and just community, with the capacity to mediate between people and demonstrate the mercy and justice of God, be truthful and upright, and has the courage to say the truth when it serves the cause of justice. Wasatiyyah is closely aligned with justice, and means opting for a middle position between two extremes, often used interchangeably with words such as average, core, standard, heart, non-­aligned, the best choice, the middle path and balance. The opposite of wasatiyyah is tataruf, which denotes an inclination towards the peripheries, extremism (including violent extremism), radicalism and excess (and its opposite: inferior). Moderation is to be applied to all spectrums of our lives: belief, morality and character, in the way we communicate and interact with others, in the social, economics, politics and governance systems and institutions, and in international relations and foreign policy. Individually, for example, a Muslim is to choose a justly balanced course between the affairs of this world and the Hereafter in a way that does not compromise other concerns. The spiritual and the physical form and substance and other types of equilibrium should be justly balanced. In the context of Malaysia, there should be a just balance between the pillars of the nation (Federal Constitution, Rukunegara, social contract) and the New Realities (ICT/social media, new social consciousness/movements, third phase of democracy), between freedom and responsibility, between the state and other stakeholders in decision­-making processes, and inclusive policies that promote cohesiveness and equality while preventing unfair discrimination among the people. The Federal Constitution was written in a justly balanced manner, taking into consideration the historical background, the social contract and the way to govern the nation. It should be interpreted and implemented in a justly balanced way. One cannot expect the Constitution to do what it was not designed to do. Neither can one expect the Constitution to do less than what is required of it. For example, how do we address the position of Islam as the religion of the federation, although other religions can be practised in peace and harmony (Article 3)? As a Muslim, I would focus on being a good Muslim. In this context, the Quran provides sufficient guidance. Islam is “a mercy to all (Muslim and non-­Muslim)” (al­-Anbiya:l07). Islam acknowledges and celebrates plurality and diversity. Because if Allah so wills, “He could have made you all one people” (an-­Nahl:93). But Allah “has created you from male and female, and made you peoples and tribes that you may know each other (not that you may despise each other)” (al-­Hujurat:l3). Islam upholds the principle of religious freedom: “Let there be no compulsion in religion” (al-­Baqarah:256). Islam forbids Muslims from causing discomfort to peoples of other faiths: “Revile not ye those whom they call upon besides Allah” (al-­an’Am:108). In fact, “It is part of the mercy of Allah that you deal gently with them” (al-­Imran:l59). Islam encourages the use of “wisdom” and dialogues “in ways that are best and most gracious” (an-­Nahl:l25). And even if there is dispute, “let not the hatred of others to you make you swerve to wrong and depart from justice. Be just: that is next to piety” (al­-Maidah:8). So, if we fully understand the meaning of moderation, we could have avoided many controversies, including those pertaining to the use of the word “Allah” and the seizure of Bibles. This is the year when the Asean Community is to be realised, much of it by what the group calls its “three pillars”: the Asean Political-Security Community, Economic Community and Socio-Cultural Community. All three have their own blueprints for regional integration and Asean says they are more than 80% of the way towards forming the Asean Community. But, if we ask the people — the real people — not the officials, the story is very different. That is why Prime Minister Datuk Seri Najib Razak has declared that, as chairman of Asean, he is committed to making Asean less elitist and more appealing to the general public. It is against this background that the Asean Civil Society Conference / Asean Peoples’ Forum 2015 (ACSC/APF 2015) Third Regional Consultation on Jan 22 to 24 adopted the statement, “Reclaiming the Asean Community for the people”. It is also against this background that the Global Movement of Moderates joins the ACSC/APF 2015. ACSC/APF is an annual forum of civil society organisations (CSOs) in Asean. It was first held in 2005, when Malaysia was chair of Asean, and held in parallel with the Asean leaders’ summit. 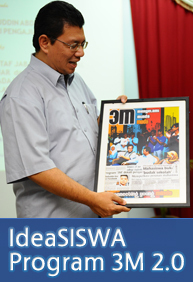 It is a continuation of earlier CSO initiatives, which led to the Asean Peoples Assembly in Batam, in 2000. During the leaders’ summit, ACSC/APF representatives are given 30 minutes to interact with leaders, to whom the ACSC/APF statement, among other things, is submitted. This year, ACSC/APF 2015 will be held in Kuala Lumpur on April 22 to 25, as a parallel meeting to the leaders’ summit on April 26 to 27. The co-chairmen of the steering committee, Jerald Joseph and Yap Swee Seng, have conducted a review of the way past interactions with the leaders were conducted, and noted the near-absence of any commitment on the part of most governments to previous ACSC/APF statements. They have thus decided to approach this year’s meeting more strategically. First, CSOs will meet the relevant ministries of each of the member states earlier. Second, this would result in the ACSC/APF adopting its statement earlier (in this case, last month). Third, the statement would focus only on priority issues. The ACSC/APF 2015 Statement begins with a critique: the people regret that their recommendations since 2005 have neither been implemented nor adopted by governments, and that some people continue to suffer authoritarian and military regimes, political violence and armed conflicts, unlawful foreign interference, lack of fundamental freedoms and human rights violations, undemocratic processes, corruption and poor governance, injustice, discrimination, inequality and religious intolerance and extremism. The failure of Asean to meaningfully address the people’s issues is because of the organisation’s restrictive interpretation of the principles of state sovereignty and non-interference. Asean prioritises corporate and elite interests over the interests of the people, who remain excluded from participating fully in Asean decision-making processes. Ensure justice in development: The Asean Community should grow from deeply rooted democratic values that promote cooperation, active contribution, self-responsibility and accountability that ensure distributive, economic, environmental, gender and social justice. It should establish accountability mechanisms that are binding and enhance the rights of all people and guard against extensions of intellectual property rights that restrict access to knowledge, learning and information. The Asean Community should also establish the Environmental Pillar — the recognition by law of indigenous peoples as citizens with equal rights. Concomitantly, it needs to ensure that trade policy is transparent and consistent with human rights obligations, and adopt domestic laws and policies that cleave with international human rights treaties and norms. This also means Asean should and must adopt legal instruments to protect migrant workers. Protect democratic processes, governance and fundamental rights and freedoms: An effective Asean Community will be facilitated by the establishment of mechanisms to ensure meaningful and substantive participation of all the region’s diverse peoples in all of Asean’s processes. This will involve the reform of constitutions and laws that restrict or deny the full civil and political participation of ordinary people in their own governance. Asean must commit to bring an end to human rights violations and the official persecution of human rights activists. Commit to peace and security: To demonstrate its commitment to collective security, Asean should establish a dispute prevention and settlement mechanism and adhere to the principles of peace and security enshrined in the UN Charter and in international law, and resolve territorial disputes and border conflicts on the principle that resources beyond the limits of national jurisdiction are the common heritage of all peoples and nations. It should advocate for justice and systems of reparation that conform with the norms of the international human rights framework and recognise the contribution of women and indigenous peoples in peace-building. End discrimination and inequality: To uphold the dignity of its many peoples, the Community must adopt the definition of “non-discrimination”, as defined by international human rights laws and conventions. This would require that it recognises multiple sites and the intersectionality of discrimination. The realisation of substantive equality can be achieved through guarantees of equal opportunity, access and benefits for all peoples, and with the elimination of clauses used to deny and violate people’s rights. The statement ends with the CSOs pledging to remain united in the quest for a regional development that upholds democracy, peace and security, individual and collective human rights, and sustainable development, for a transformative and “people-centred-Asean”.